Saturday - Taco Soup - again! We really like this stuff. I'm so glad I found the recipe. I don't have a link to any new recipes this week. You can click on the taco soup above for that recipe. It's very good. I use my own taco seasoning in the recipe instead of the packaged kind. The ranch dressing mix I have never replicated, so I use the pack for that. 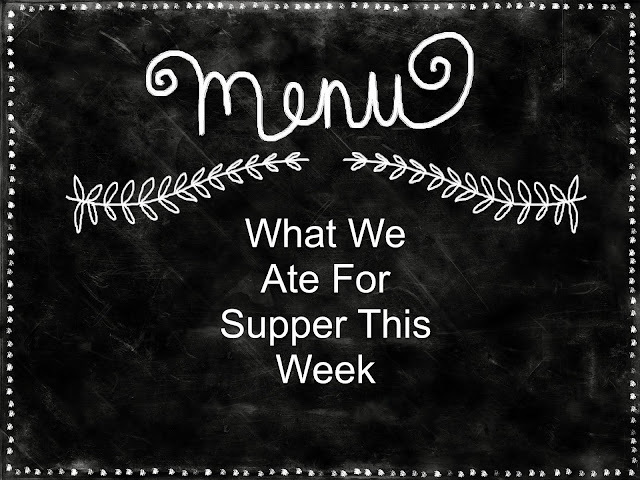 What did you eat this week? Tell me in the comment section below! I like your Friday meal, I love egg sandwiches. Let me see if I can remember what we had for the week. 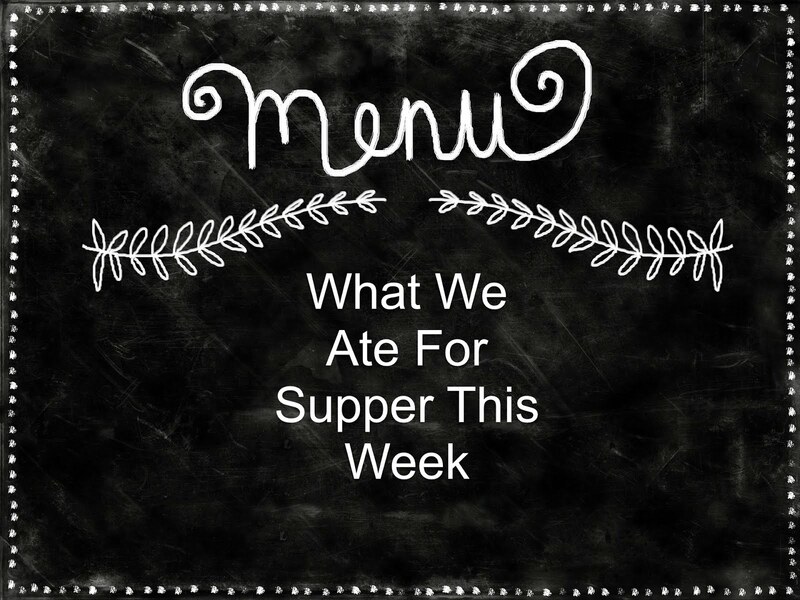 Sunday - Fried chicken, Monday - pork chops, Tuesday - left over chicken for hubby, I had salmon, Wednesday - Chicken salad (that's our weekly dinner from Zacby's) Thursday - Meatloaf, Friday & Saturday - Hubby's delicious meatballs! I'm trying to get my brother and me on a healthier course. Today: hot oatmeal with some apple and raisins inside sprinkled with walnuts and a dollop of our own honey. Also a banana and whole grain organic bread with peanut butter and a cup of green tea. Lunch -- a salad consisting of romaine lettuce, broiled chicken chunks, a chopped avocado, some white beans, a few sliced marinated artichoke hearts, and slivered almonds with Italian dressing. I had three tiny tangerines and some organic sweet potato crackers on the side. We don't have an evening meal, but I'm munching on an apple, three gingersnaps, and a few salted almonds as I type this.